Laboratoire de Physique et Modélisation des Milieux Condensés - Workshop "Superconductivity, Spintronics, and beyond"
Accueil > Événements > Événements passés > Workshop "Superconductivity, Spintronics, and beyond"
Participation to the workshop is free. 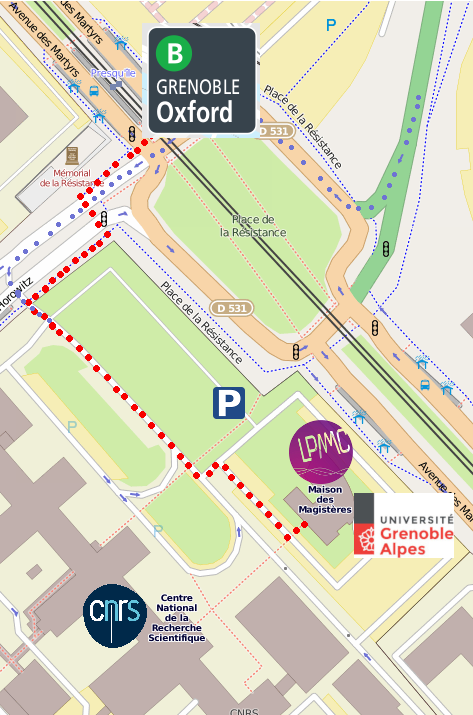 However, participants from outside the CNRS campus have to register before the 13th of November by sending an email to Thierry Champel. "Hybrid Nb-In0.75Ga0.25As quantum wells circuits for scalable quantum computing"
"Superconducting spin valves with nontrivial magnets"
"Why one should worry about crystal structure while studying chiral magnetism"
"Novel topologies in multi-terminal superconducting nanostructures"
"Transient conductance between Fermi and Luttinger liquids"
"Enhancement of the upper critical field in disordered transition metal dichalcogenide monolayers"